The American Heart Association, the leading voluntary health organization devoted to a world of longer, healthier lives, together with itsÂ Go Red for Women movement, are asking you to wear red to support Go Red for Women on National Wear Red Day: Friday, February 1, 2019. Why wear red? Heart disease is the No. 1 killer of women, taking more lives than all forms of cancer combined. 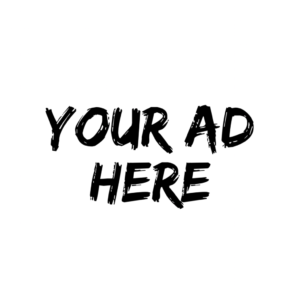 Someone you know and love may be affected â€“ at any age. Heart disease and stroke claim the lives of 1 in 3 women â€“ a third of our mothers, sisters and friends. Itâ€™s time to change this fact. Thatâ€™s why the American Heart Associationâ€™s Go Red for Women movement, nationally sponsored by CVS Health and locally sponsored by Ascension Saint Thomas Health, encourages you to show your support by wearing red on Friday, February 1 to help raise awareness and save lives from heart disease. In addition to wearing your red, the American Heart Association and Ascension Saint Thomas Health are hosting â€œPower InÂ Numbers,â€ a free health event empowering women to better understand their risk for heart disease and stroke. Health screenings will be provided, along with other celebratory activities like a Zen Den, photo booth, music and a complimentary lunch for the first 50 guests. â€œPower In Numbersâ€ will take place from 11am â€“ 1pm on Wear Red Day at Saint Thomas Midtownâ€™s Gladys Stringfield Owen Education Center, 2000 Church Street, Nashville, TN, 37236. Friday night as the sun sets, be sure to catch NashvilleÂ buildingsÂ and iconicÂ landmarksÂ light up red to supportÂ heart disease awareness: Adventure Science Center, Ascend Federal Credit Union, AT&T, Belmont Fountains, Bridgestone Area, Cambria Hotel, First Tennessee Park, Franklin Synergy, Gaylord Opryland and Resort, Hotel Indigo, Korean War Veterans Memorial Bridge, The Frist Center, Meharry Medical College, Metro Nashville Courthouse, Nashville Farmersâ€™ Market, NES, Nissan Stadium, Tennessee Performing Arts Center, Tennessee State Capitol, The Ryman, The Parthenon, The Tennessean, The Westin, Williamson County Historical Courthouse, just to name a few! 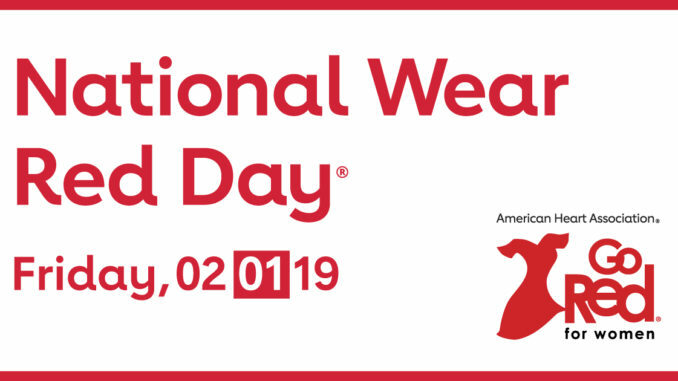 As an extra kick-off to National Wear Red Day and American Heart Month, theÂ Tennessee State LegislatureÂ will be formally recognizing February 1 as National Wear Red DayÂ and helping to raise awareness statewide about the burden of heart disease in women. Furthermore, multipleÂ Middle Tennessee local governmentsÂ will be proclaiming February asÂ Heart Month. Wear red to raise awareness about heart disease â€“ the leading cause of death in women. You can get the iconic Red Dress Pin atÂ ShopHeart.org. Make a donation to support the lifesaving work of the American Heart Association atÂ WearRedDay.orgÂ or at your local CVS Pharmacy, February 3-Â 23. Take action for your heart health. To help women better understand their risk for heart disease, CVS Health is offering FREE heart health screenings every Thursday in February, including Valentineâ€™s Day, atÂ CVSÂ MinuteClinicsÂ nationwide. Join the conversation by using #NashGoRed on socialÂ media. While nearly 80 percent of cardiac events can be prevented through education and lifestyle changes, cardiovascular diseases continue to be a womanâ€™s greatest health threat. To treat, beat and prevent heart disease and stroke, women should understand family health history, know their five key personal health numbers to help determine risk and make healthy behavior changes like moving more, eating smart and managing blood pressure. Â The American Heart Associationâ€™s Go Red for WomenÂ® movement is the trusted, passionate, relevant force for change to end heart disease and stroke in women all over the world. While nearly 80 percent of cardiac events can be prevented, cardiovascular disease is the leading cause of death in women, claiming the lives of 1 in 3 women. For 15 years, Go Red for Women has provided a platform for women to come together, raise awareness, fund lifesaving research, advocate for change and improve the lives of all women everywhere. The American Heart Association’s GoÂ Red for Women movement is nationally sponsored by CVS Health, with additional support from national cause supporters. Connect with us onÂ GoRedforWomen.org,Â Facebook,Â TwitterÂ or by calling 1-888-MY-HEART (1- 888-694-3278). The American Heart Association is a leading force for a world of longer, healthier lives. With nearly a century of lifesaving work, the Dallas-based association is dedicated to ensuring equitable health for all. We are a trustworthy source empowering people to improve their heart health, brain health and well-being. We collaborate with numerous organizations and millions of volunteers to fund innovative research, advocate for stronger public health policies, and share lifesaving resources and information. Connect with us onÂ heart.org,Â Facebook,Â TwitterÂ or by calling 1-800-AHA- USA1.